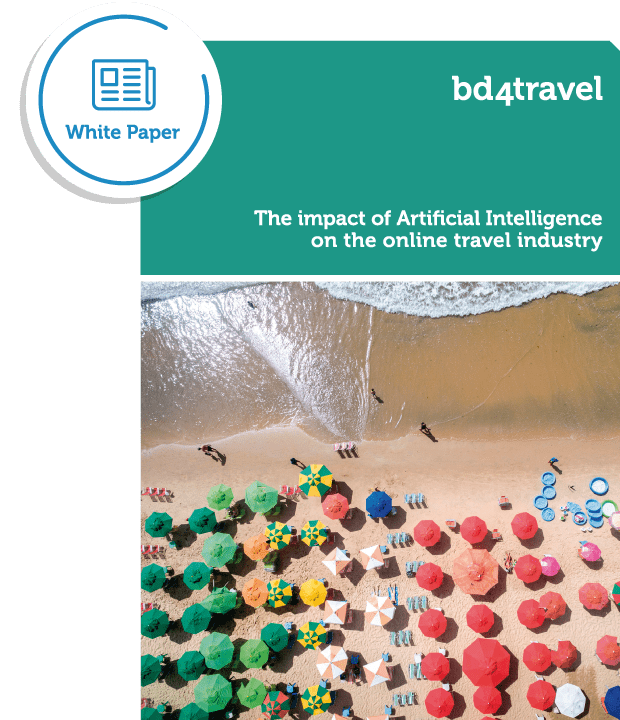 Ever-increasing amounts of data and a large number algorithms, that power intelligent business process, are fueling the rise of Artificial Intelligence (AI) in the online travel industry. AI will have a major impact on the competitiveness of the major travel retailers. The capabilities of AI mainly materialize in a more appealing and more comfortable customer journey. This whitepaper from bd4travel provides corresponding insights and proposes a straight forward adoption approach.